Well, it’s been since September since we went through 1952, so I should probably get back to the countdown. It’s kind of a weak year, with a number of very fine films but nothing that really leaps out like the surrounding years have. 10. An American In Paris – Vincente Minnelli’s Gershwin musical is big and bright, but it isn’t as subversive as some of the better musicals of the period (Minnelli’s own The Band Wagon (#6, 1953) and The Pirate (#10, 1948), as well as Singin’ In The Rain (#1, 1952)). It’s got a terrific Gershwin score, and Gene Kelly is as amiable and athletic as ever. The supporting cast (Leslie Caron and Oscar Levant in particular) is more lackluster than you’d like, though Levant’s dream sequence, an homage to a brilliant Buster Keaton short (The Playhouse (#2, 1921), is quite good. The film ends with a ground-breaking 17 minute ballet sequence, inspired by Powell and Pressburger’s The Red Shoes (#1, 1948). 9. The Lavender Hill Mob – One of the several terrific comedies Alec Guinness made at Ealing studios in the late 40s and early 50s, directed by Charles Crichton, who made a splash in the 80s with A Fish Called Wanda (#10, 1988). Guinness plays a meek bank clerk who hatches a plot to steal $3,000,000 worth of gold bullion. Low-key and charming, but with a few great chase sequences, the film also features Audrey Hepburn in one of her first roles. 8. 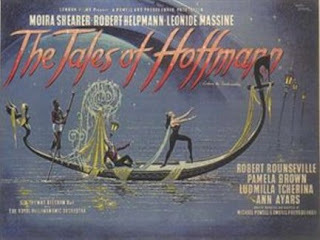 The Tales Of Hoffman – Michael Powell and Emeric Pressburger’s musical follow-up to The Red Shoes is an adaptation of Jacques Offenbach’s opera based on stories by E. T. A. Hoffman. The lead actor (Robert Rounseville) doesn’t really work as a movie actor, he’s far too theatrical to take seriously, but Moira Shearer is fantastic as usual and the film is visually stunning. It’s George Romero’s favorite film, and that says something, though I’m not sure what. 7. Diary Of A Country Priest – Robert Bresson’s agonizing portrait of the eponymous priest is as hypnotic as any of his films, though watching the poor guy can get to be awfully brutal. His town doesn’t like him, he’s got a horrible stomach disease and he may or may not have some doubts about his job. Like most Bresson’s films, it can be read either pro- or anti-religion, which is fascinating, but not as much as in his later work. 6. Strangers On A Train – A Hitchcock classic that a lot of people like more than I do, mainly because I just don’t like Farley Granger. I don’t exactly know why, but the guy just bugs me. Robert Walker, however, is terrific as the lunatic who thinks he and Granger should trade murders and begins stalking him when Granger doesn’t want to play along. The famous sequence at the tennis match is one of the creepiest in all of Hitchcock, if not all of cinema. And the dizzying finale is stunning as well. 5. Ace In the Hole – Billy Wilder’s prescient and acid satire of the media and journalism is unrelentingly dark in its story of an ambitious writer who manipulates the rescue of man stuck in a cave-in for his own profit. As beautiful and bleak as anything parodied by The Simpsons. 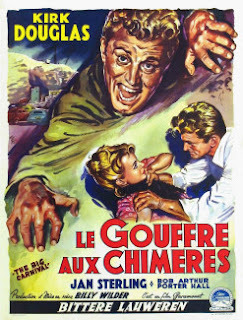 Kirk Douglas is a marvel in the lead role, but, like with The Diary Of A Country Priest, I have a hard time enjoying anything this pessimistic about humanity. 4. Flying Leathernecks – Vastly more humanistic is this Nicholas Ray WW2 film about a Marine air squadron and the conflict Robert Ryan and John Wayne have over how to run it. Ryan’s the nice guy who doesn’t want to get his men killed, Wayne’s the hardass who will do whatever it takes to defeat the Japanese. The wonderful thing about the film is that it presents both characters’ positions on an equal footing, instead of sticking to the macho hardline you’d expect from a 50s war movie. 3. The Thing From Another World – This Howard Hawks produced sci-fi thriller is the best of all 50s sci-fi films, though it shares little in common with that genre obsessed with Cold War paranoia and the suburban conformism of the Eisenhower years. Instead, it’s a Hawks movie about men in a dangerous profession cracking jokes while doing their jobs. This job, however, happens to be fighting a homicidal alien at an Arctic air base. Christian Nyby ostensibly directed. 2. The Steel Helmet – Samuel Fuller’s war movie is the best film ever about the Korean War (not much competition there). Its compact, character-based plot revolves around Gene Evans’s Sgt. Zack and his struggle to hold together an ethnically diverse group of soldiers as they try to establish an observation post in a Buddhist temple. Following Zack around is a young Korean boy he calls ‘Short Round’, which may sound familiar. The way the film deals with the issue of interrogating and killing POWs is, needless to say, superior to Saving Private Ryan, as is the film as a whole. 1. 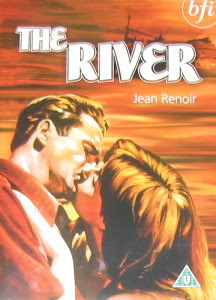 The River – Jean Renoir’s beautiful adaptation of a Rumer Godden (Black Narcissus) novel (she wrote the screenplay as well) about a British colonial family in India is lushly romantic while managing to, for the most part, avoid the pitfalls of imperialism that drag down The Darjeeling Limited. The family’s three daughters all fall in love with the same man, complications ensue. There’s a stunning dance/dream sequence, some beautiful shots of the landscape (including the titular body of water) and a one of the most heart-breaking scenes ever as the family sits down to dinner after an unfortunate death (daughter asks mother: “So we just go on as if nothing has happened?” mother replies: “No, we just go on.”). 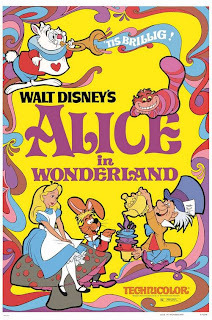 One of the great achievements of Technicolor. The first Renoir film to top a Movies Of The Year, but not the last. The Unseen from this year include some fine films, but the one I most want to see is the Ozu. 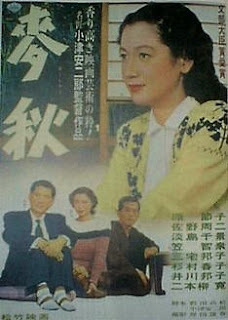 I once started watching the Kurosawa, but couldn’t get through it. You know, I just recently saw the Renoir, and while I think that it’s a beautiful film and all, I couldn’t get over the colonialist air that hangs over the whole film. I realize that it’s a product of its time, but it disappointed me that Renoir, one of the great humanist directors, couldn’t seem to neutralize it a little more, or get around it, or something. Just my two cents. It’s tough to make a film abut colonials without succumbing to colonialism. I think Renior does about as good a job at it as can be expected.But I like all kinds of films about colonial life: Wee Willie Winkie, Gunga Din, Black Narcissus, Out Of Africa, The Mission, Zulu, 7 Women, and so on. All of those films can be criticized for their depictions of non-white people, and they can either be wholly condemned on that basis or we can note the problems while celebrating their virtues. Guess I’m a half-full kinda guy.